As per the survey in the recent periods people concentrating in staying fit has been increasing.there are some tips which are both healthy and easy to practice. Diet which we are taking must be calculated as per the requirement of calories in our intake, Fat content must be limited. Carbohydrates means: They treat as long-term energy saving molecules. it acts as the main structural support for plants and consists of many cells. adult diet must consists only 45%of energy from carbohydrates. these are available in nutrient rich foods like whole grains,vegetables,fruits etc..
Proteins means :It is the main ingredient for building up antibodies for our immune system, helps in muscle contraction and movement. it is available in fish,meat,eggs,cheese and other dairy products completely and also they provide amino acids too. Fat means: It is necessary to be healthy, it is to be taken only 20%-35% from total diet. As many as liquids like water, fresh fruit juices(without sugar),buttermilk(thin i.e,1cup curd and 3cups of water) etc is very helpful in order to keep stomach full without calories. Drink at least 10-12 glasses of water everyday. 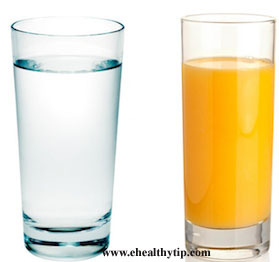 Drink water before meals as it keeps appetite full. Intake of fiber is more essential as it helps feel satisfied for longer time, it is available in all skins of fruits, French beans etc..
Make sure you take green tea at any point of time in your day as it plays a prominent role in burning out calories. 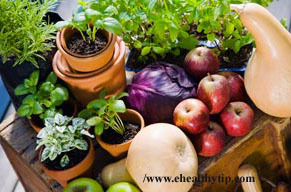 having meals in small amounts makes appetite full and supply nutrition as required. eating more amount at a time makes fat cells accumulate under skin, so it is advisable to eat in small portions. A)Stand straight with your arms with the shoulders height and move clockwise and anticlockwise as fast as you can. B)walking and jogging no doubt a good choice as it is tire less process, just walk for four minutes and a minute of jog and repeat the same thing. C)Brisk walk foe 10-20 minutes every day makes weight managed easily. D)Swimming is the best way to feel healthy and revitalized. it is good for every one with any complaints of injuries or arthritis. E)Just keep up your energy levels by drinking water between every meal and even a cup of coffee or tea. Go for paper and milk instead you get it delivered to home. Take bath in the shower instead of bathtub as it consumes some energy. Go to the shops/malls by walk/bicycle instead of taking car/bike. Take staircase instead of lifts/escalators whenever you get a chance. Use broom and morph instead of vacuum cleaner. just dance whatever you wish for your favorite song for 10 minutes. Like suggested as above there are many more innovative ways to shred weight with ease.